Here are a couple of Atomic Orange from around the internet. I like color as well. Last edited by urrtoast; 10-08-2013 at 08:08 PM. SilverFox and The Rock like this. 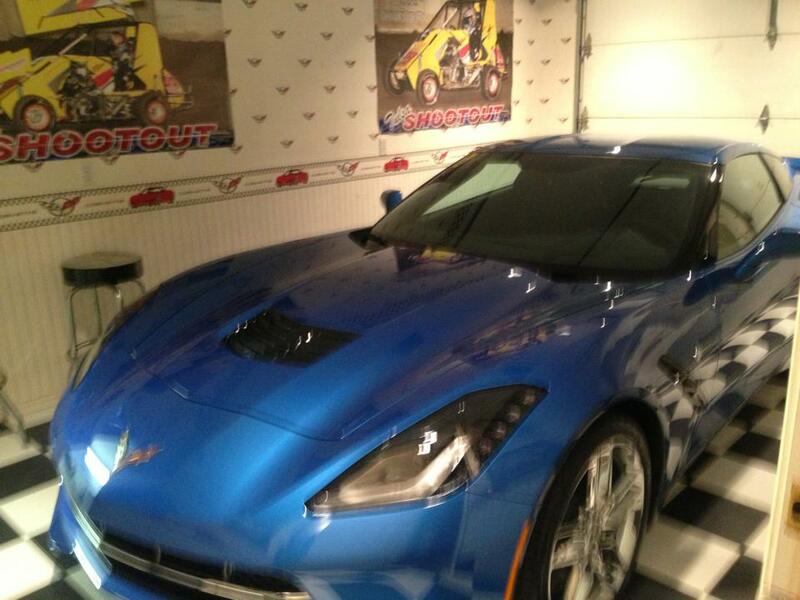 I just noticed this Laguna Blue Vette seems to have blue seats. Am I seeing things? 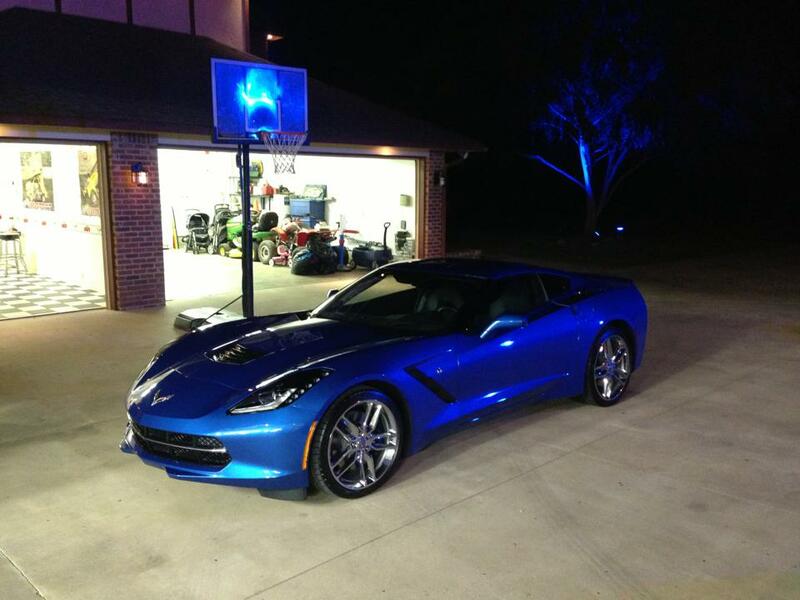 Maybe its the light grey interior reflecting the color?? [QUOTE=urrtoast;7060]Here are a couple of Atomic Orange from around the internet. 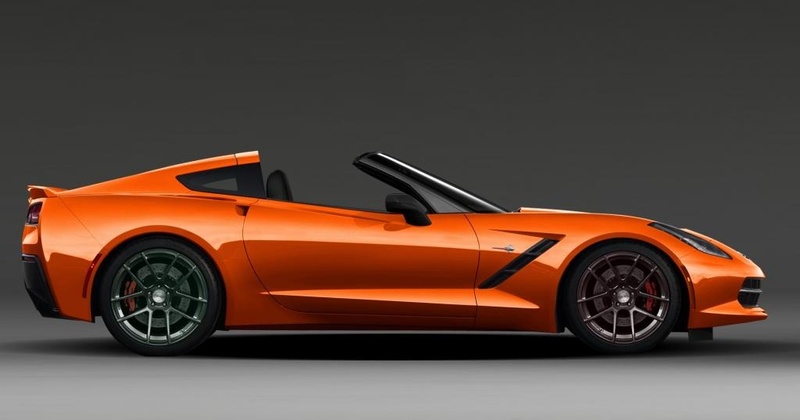 GM is open to bringing Atomic Orange back, IF, and this is a big IF, they are convinced that enough customers would choose it. I believe this could happen as soon a next year. So far Lime Rock Green is really liked by many, but when the actual decision time occurs, only selected/chosen by a relative few, and it may be the color that is replaced by AO. Those seats do look blue, no question? Maybe 2015??? FRANKSTER!!!! Congratulations!!!!!!!!!!!!!!!!!!!!!!!!!!! I didn't even see this post and hate that I missed it last week I'm so excited for YOU!!! I hope you're posting more pictures! Thanks, I've actually been away for work, I will try to get more pictures up this week. 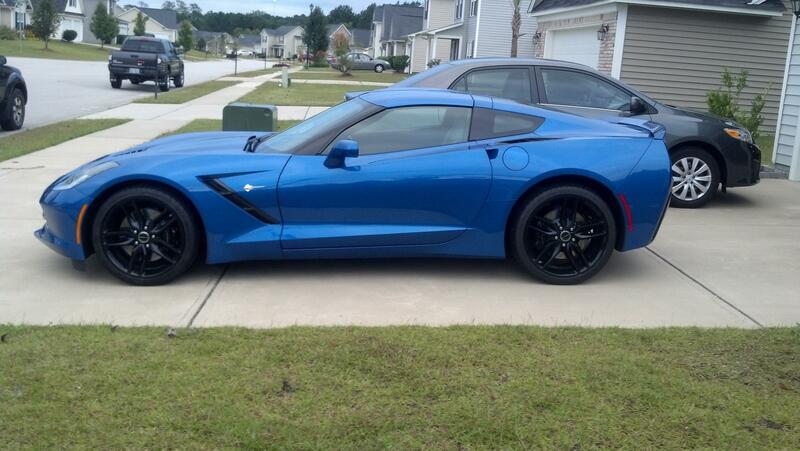 Oh the Laguna Blue is my favorite color. 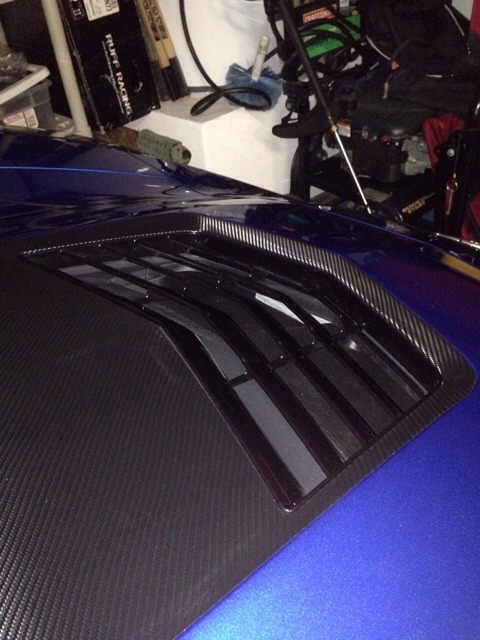 Ignore the C6 sunshade.... None available for C7!! 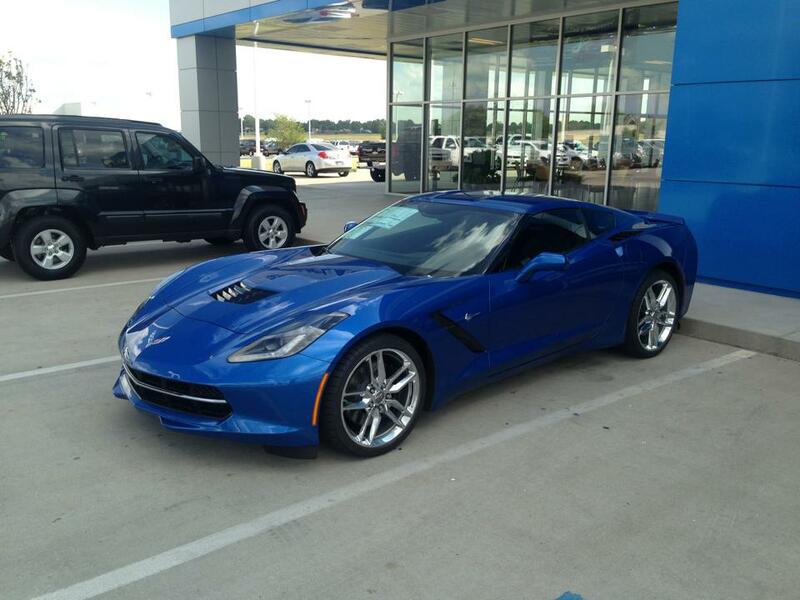 YllwStgr, elegant, 63 Stingray and 2 others like this. Lagunavette - Looks like you're really enjoying it! Nice mod on the hood. They did do a great job. Great looking car... 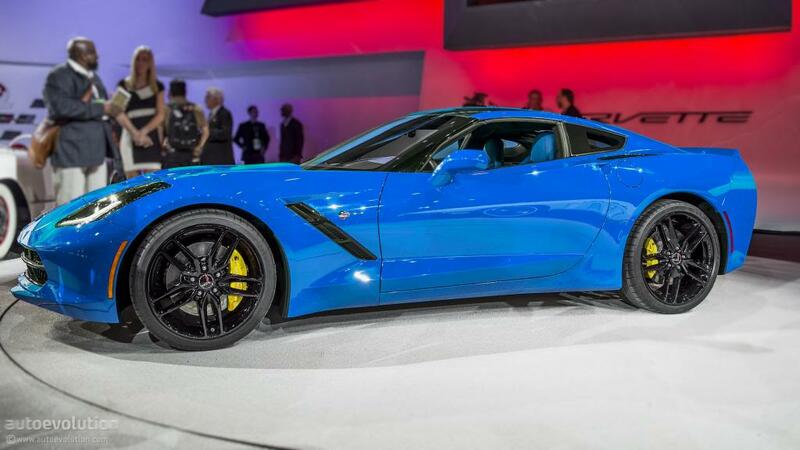 I like the red calipers with the blue. Thank you!!!! Your car looks great too!! 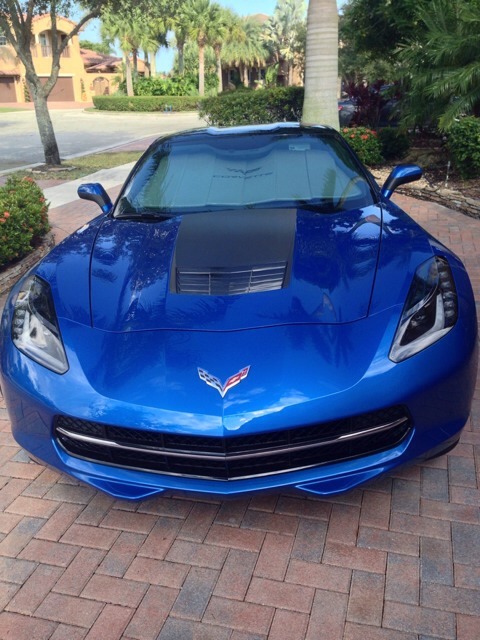 Beautiful car; liked the CF hood stripe, especially how they wrapped the hood vent edges! Last edited by Joey Rosario; 10-22-2013 at 03:17 AM. elegant and Lagunavette like this. 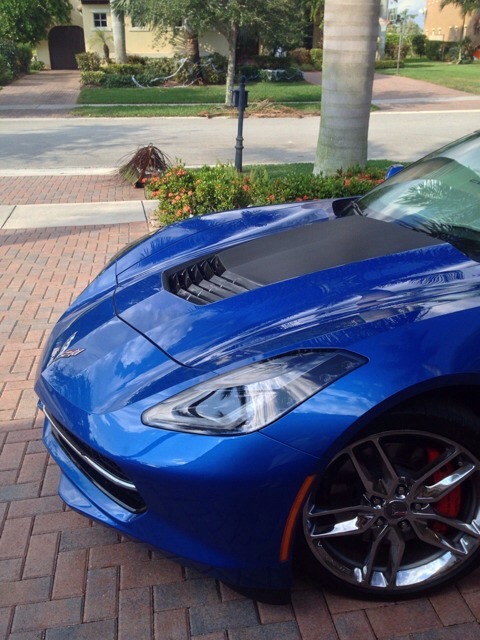 Lagunavette and Lag Blue stingray like this.